When cleaning the inside of your car, do not forget to clean the door panels, which helps give your car an extra sparkle. Cleaning a door panel is a multi-step process, including vacuuming up any dirt or debris, wiping down the various surfaces with an appropriate cleaner, detailing the panel, and polishing the door panel to make it shine. By following some simple steps, you can have your car door panels looking great in no time. Vacuuming door panels helps to remove most of the loose dirt, making the cleaning process even easier. Using a household or shop vacuum, make sure to get into all of the nooks and crannies of your door panel, using compressed air if needed. Step 1: Vacuum up loose dirt. 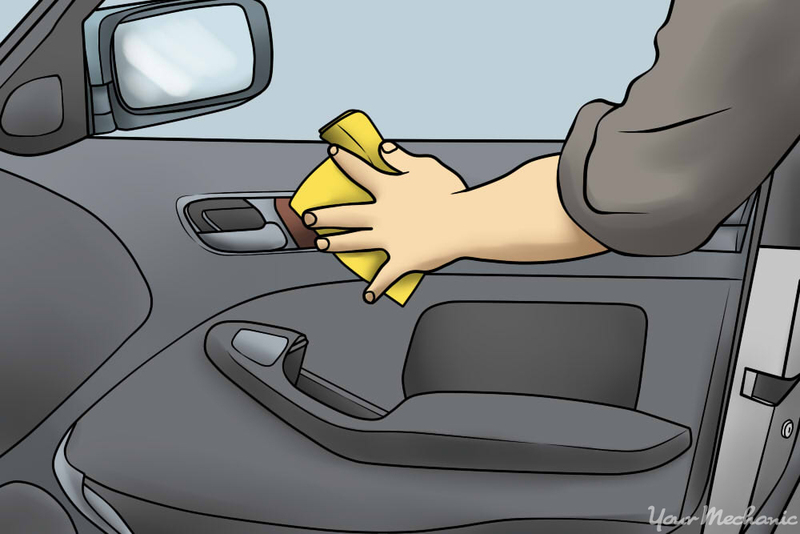 Start by giving all the surfaces of the door panel a good once over with the vacuum, removing any loose dirt or debris. By removing the dirt and debris now, you keep it from smearing when wiping the door panel down later. Step 2: Use a crevice tool. Get into the nooks and crannies of the door panel by using a crevice tool, including the storage pockets. Some vacuums, such as a shop vacuum, come with a crevice tool already attached to the hose. Step 3: Use compressed air. If you have problems getting into the cracks, use compressed air to spray into the tight area and blow the dirt out. Then use the vacuum to clean it up. Wiping down the surfaces of the door panel after vacuuming helps clean off the dirt and debris. Make sure to use a cleaning solution compatible with the surface you plan on cleaning, including leather cleaner for leather surfaces and vinyl cleaner for other fabric types. Warning: Perform a color test on a small area of the material that is not visible to make sure the cleaner you plan on using is safe to use on your door materials. Also, avoid using regular household soap on vinyl or plastic surfaces, as it can remove the material's sheen. Step 1: Clean the surface. Clean the plastic, vinyl, or leather surfaces of the door panel by applying the appropriate cleaner to a clean microfiber cloth and wiping the panels down. The surface of the microfiber cloth should draw the dirt away from the surface of the door panel. Step 2: Clean the pockets. Clean any storage pockets, as these areas seem to collect a lot of dirt and debris. Make sure to clean around the speaker grilles and arm rests, and get around the door frame and the door sill, located at the bottom of the door panel. If needed, use a soft-bristled brush to remove scuff marks and other hard-to-remove stains. Step 3: Dry the panel: After cleaning all of the surfaces, dry the door panel using a clean microfiber cloth. In addition to drying with a microfiber cloth, allow the door panel surfaces to air dry. After the door panel is nice and clean, it’s time to treat the vinyl or leather surfaces to protect them. Make sure to use only products compatible with the surfaces of your door panel, including performing a color test in an inconspicuous spot to test for color fastness. Tip: When choosing a product to protect your vinyl surfaces, consider one with a good level of UV protection. The rays of the sun can harm your vinyl surfaces, making the colors fade. A product with UV protection helps prevent this. Step 1: Apply the dressing: Apply the dressing or conditioner using a microfiber cloth. Make sure to get the product into all of the surfaces, including into the nooks and crannies, such as the storage pocket and around the arm rest. Step 2: Wipe off any excess dressing or conditioner. Allow the door panel surfaces to dry completely. Step 3: Wax the metal parts. Make sure to use car wax on the inside of the metal part of the door panel to prevent oxidation and rust. 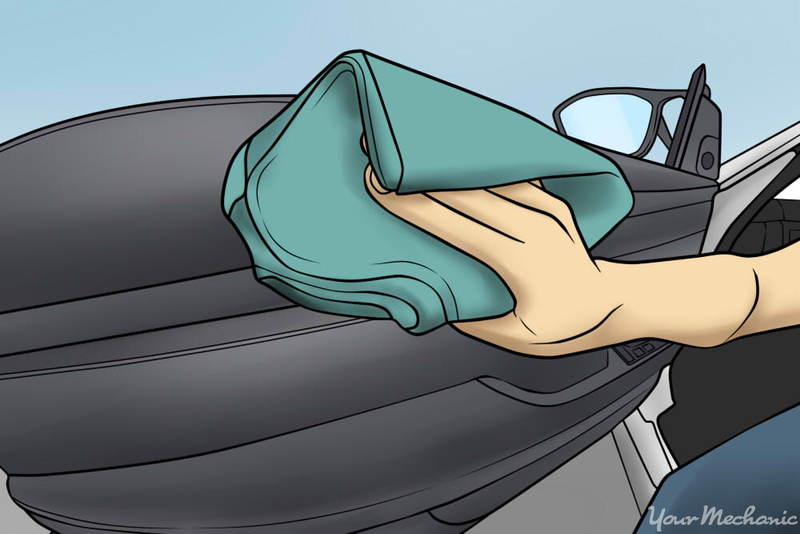 Rub on the wax with a clean microfiber cloth, and allow it to dry before rubbing it to give it a finishing shine. 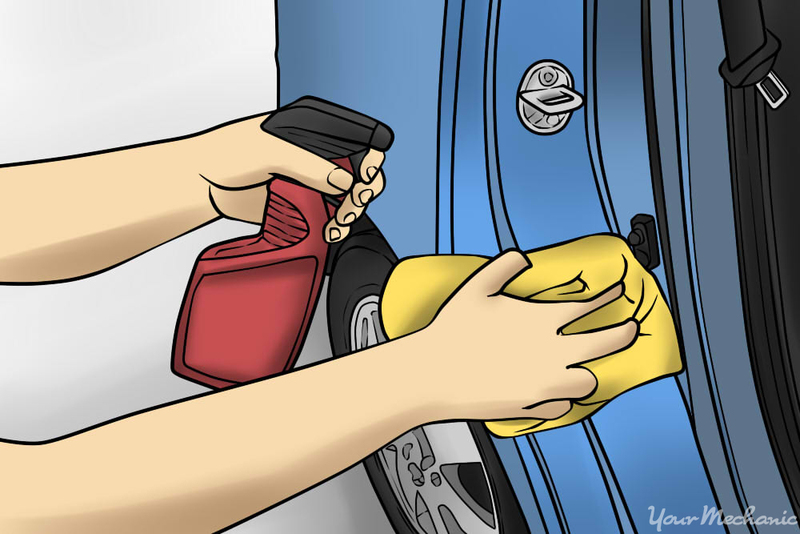 Door panels are an often-neglected area when it comes to cleaning the interior of your car. Luckily, they are easy to clean when you have the right materials and know-how. In addition to keeping your door panels clean, you should also keep them maintained and in proper working order. This includes having a door fixed when it is sagging or having another problem. Call one of our experienced mechanics for an inspection and advice for how to fix your problem. 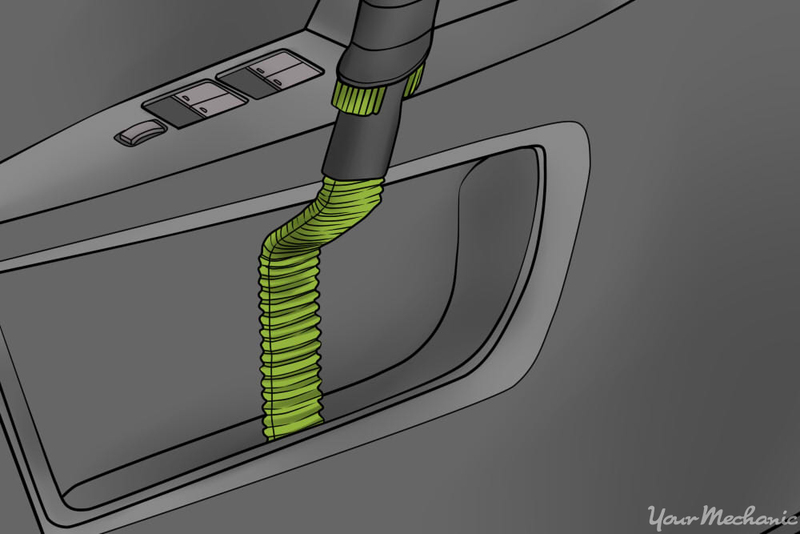 Q: How do I set the park all doors unlock mode?